Did you know that studies have shown certain foods can produce similar addictive behaviors and brain patterns in some people as drugs and alcohol? The foods that produce these similar affects are termed “highly-palatable food”. 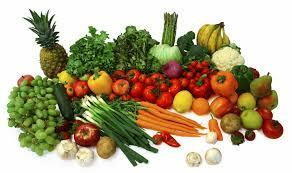 Highly palatable food is food that repeatedly triggers pleasure in the brain. This includes processed (high-salt), high-fat, high-sugar foods. How Does Your Brain Respond to Sugar? Dopamine is a neurotransmitter that is released in response to pleasurable stimuli. The pleasurable feelings that result from the release of dopamine also serve to reinforce the behavior. From the brain’s perspective, the difference between drugs and sugar is strikingly similar. For some people, eating sugar produces surges in dopamine release, giving them the compulsion to eat more and more sugar. However, just because a person craves sugar does not mean they are addicted to it. It is when the cravings cause a person to feel out of control that their brain has been hijacked by the over-production of dopamine. When a person becomes addicted to a substance (in this article, food), they ingest large quantities of the substance in order to obtain the desired feeling of pleasure or experience a high. The large consumption of a substance is referred to as a binge. With continued use, the brain and body become accustomed to the substance, so larger and larger quantities need to be consumed in order to receive the same “high”. What Puts You at Risk for Food Addiction? Genetics may play a role in this, but the environment in which we live is the more likely culprit. When you are repeatedly exposed to something you enjoy and makes you feel good you are more likely to develop an addiction. I think food addiction is likely due to the high and constant exposure of high-sugar and high-carbohydrate foods which dominate advertising and marketing. How often at night do you see a commercial promoting eggs, chicken, nuts or other healthy protein choices? NEVER! Instead, we see commercials for pizza, fast-food restaurants, ice cream and other tasty not so healthy items. In a time when our culture is dominated by logos and constant advertising of convenient, quick and easy, high-sugar, high-carbohydrate foods, we are ALL at risk of developing a food addiction! What are Addictive Foods You Should Avoid? I would venture to guess you consume more sugar than you realize. We are constantly being marketed to eat healthier and choose low-fat or fat-free foods…but did you know there are hidden sugars in many of these foods? Most of the time, the fat is replaced with added sugar; otherwise, these items would not taste very good. Here are some examples of hidden sugars: “syrup”, corn syrup, high-fructose corn syrup, maple syrup, agave syrup, foods ending in “ose”–fructose, glucose, sucrose, dextrose. To estimate the amounts of added sugars, you can compare an unsweetened version of a product (such as plain, unsweetened yogurt) with the sweetened version (fruit-flavored yogurt). Another advertising ploy is when labels list sugars as “healthy” sugars. Some of these “healthy sugars” include brown rice syrup and agave, but sugar is sugar and the brain DOES NOT differentiate between the “healthy” ones and table sugar. Carbohydrates act like sugars on the brain. Excessive carbohydrate intake may lead to food addiction, so you should attempt to replace simple carbohydrates (white breads, cereals, pastas, rice) with complex carbohydrates such as fruits and vegetables, as well as proteins and healthy fats. 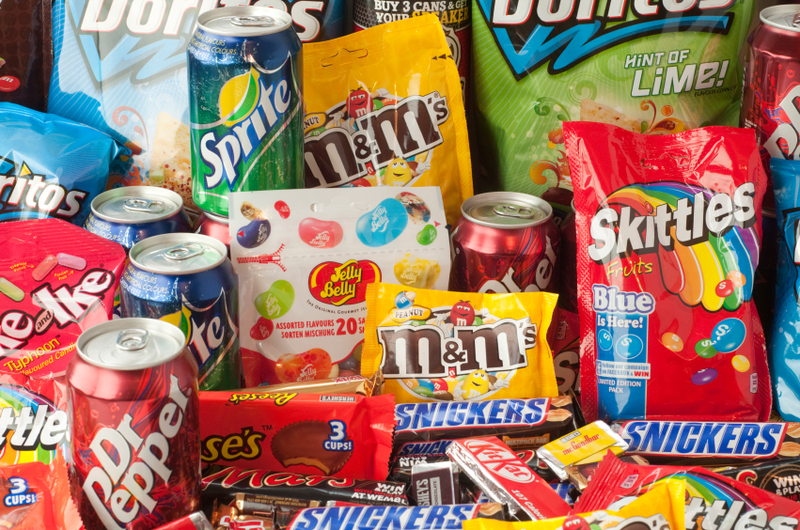 “Junk foods” are foods that are processed, high in sugar and usually high in fat and salt. Junk foods are the epitome of “highly palatable foods”–cakes, cookies, candy bars, ice cream and foods found in vending machines. Another pitfall for a lot of people are sugary drinks; these include soft drinks, coffee, energy drinks, fruit drinks and juices, sports drinks, and iced teas. The purpose of this blog is to help you recognize pitfalls in your diet that may be making weight loss more challenging for you. I hope this blog has motivated you to look more closely at the foods and drinks you consume and help you make better decisions when it comes to what you put in your mouth. I hope I can help you avoid becoming a food addict as well!